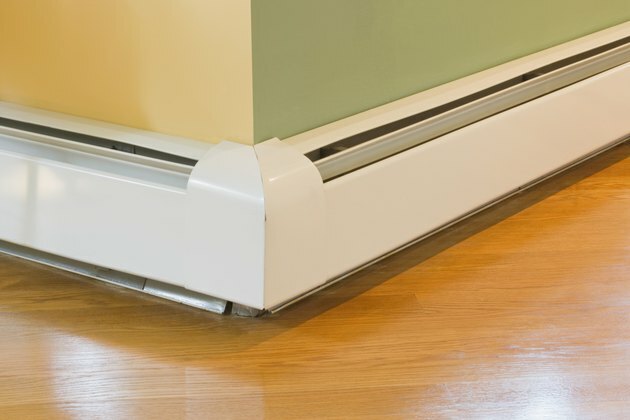 A hot water baseboard heating system is extremely quick and efficient and as such is a popular choice for home heating. Maintaining this type of heating requires little more than making sure the metal framework around the hot water pipes remains free from obstructions and dust kitties so that the heat will distribute safely and effectively. However, once a year these systems do need to be bled off all water and air to maintain the entire system. Luckily this is a fairly simple job when you know what to do. Turn the heat on a high setting to circulate the water throughout the entire system. Turn heat completely off after one hour. Locate the main system tank in the basement. Find the bleed valve near the bottom of the tank. It will look like a hose outlet with a threaded edge. Put a towel over the nozzle to absorb any dripping water during the bleeding process. Additionally you can place a bucket on the floor to protect a finished basement floor from accidental damage. Twist the bleed valve in a counterclockwise direction to begin the process. A hissing sound will signal that air is bleeding out of the system. Be aware that the air, as well as any leaking water, can be hot. Turn the valve off by twisting in a clockwise direction once water starts coming out of the bleed hole steadily. This means all the air has been removed.